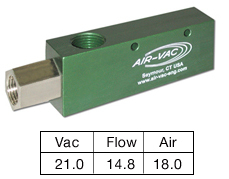 • Rectangular shape units develop High and Medium vacuum. If maximum Vacuum Levels are not required, select M or L model pumps. 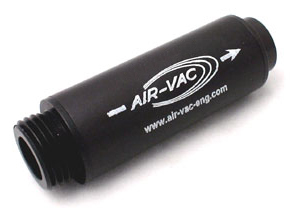 When Vacuum Flow is important, regulate the operating pressure. • High Vacuum Flow will occur at 40-50 psi. Data below recorded at 70-75 psi.